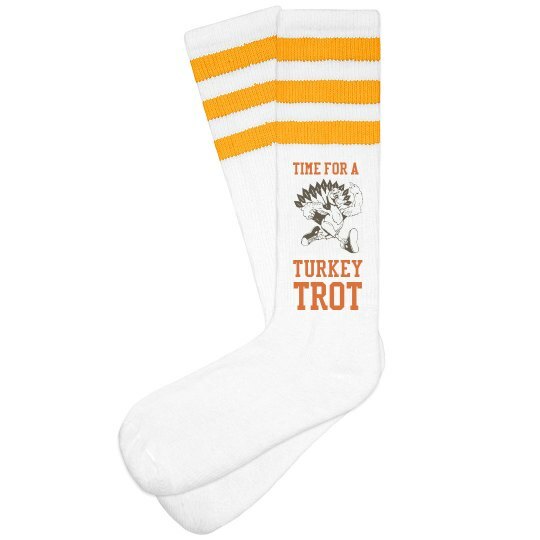 Get these awesome knee high socks to wear to your turkey trot 5k race or marathon! Look at that amazing cartoon turkey. I love him. Look how fast he is going. It's inspiring.